One could be led to think that a strong concept of form embodied in a compelling physical presence might push aside other elements of architectural design, such as a building’s function or its relationship to the surroundings. 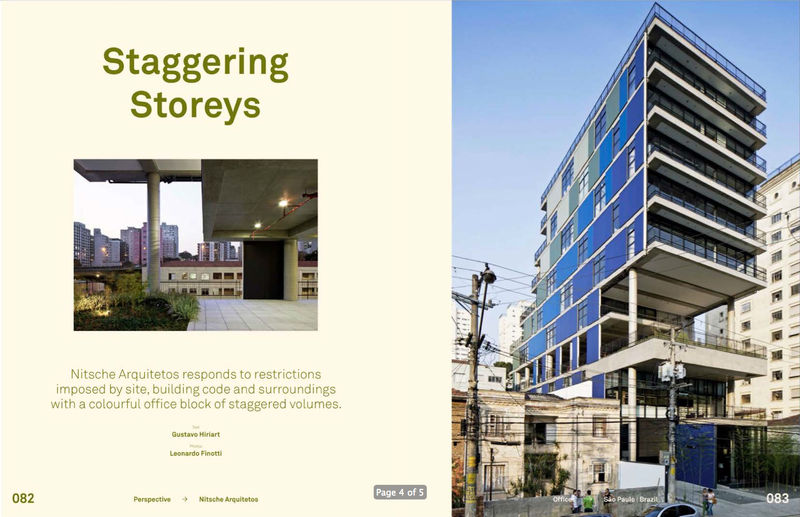 Although this is sometimes the case in contemporary architecture, it is not so with the office building at Rua João Moura 1144 in São Paulo, designed by brother and sister Pedro and Lua Nitsche of Nitsche Arquitetos. 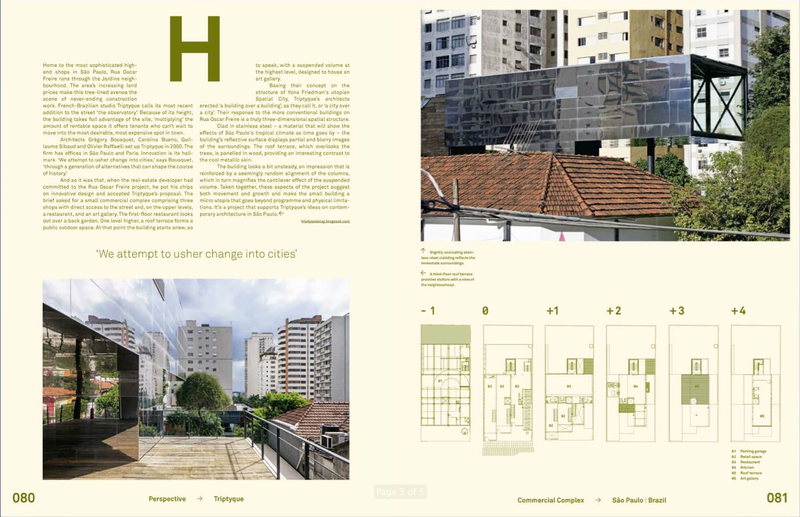 Located between the Pinheiros and Vila Madalena neighbourhoods, the building is a creative solution by architects who successfully tackled the restrictions posed by local regulations and the peculiarities of the site, while remaining committed to function and rational design. Project developer Idea Zarvos, a company that believes architectural quality adds real value to a building, participated actively in the decision-making processes. The site, a long strip between Rua João Moura and Rua Cristiano Viana, presented the Nitsches with a 16-m slope, the lowest point of which coincides with the bottom of a valley (and the groundwater table). Consequently, they used the first three storeys of the building for parking garages, avoiding excessive excavation. This decision led to establishing the ground floor at the highest point of the site. 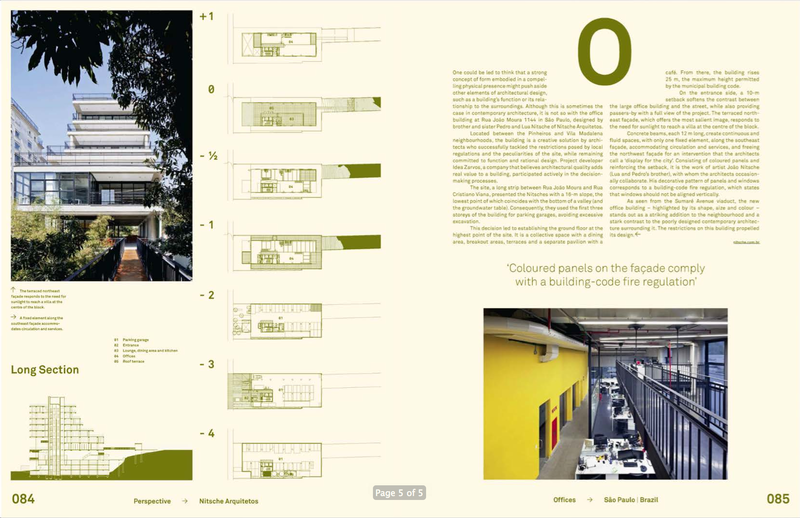 It is a collective space with a dining area, breakout areas, terraces and a separate pavilion with a café. From there, the building rises 25 m, the maximum height permitted by the municipal building code. On the entrance side, a 10-m setback softens the contrast between the large office building and the street, while also providing passers-by with a full view of the project. The terraced northeast façade, which offers the most salient image, responds to the need for sunlight to reach a villa at the centre of the block. Concrete beams, each 12 m long, create continuous and fluid spaces, with only one fixed element, along the southeast façade, accommodating circulation and services, and freeing the northwest façade for an intervention that the architects call a ‘display for the city’. Consisting of coloured panels and reinforcing the setback, it is the work of artist João Nitsche (Lua and Pedro’s brother), with whom the architects occasionally collaborate. His decorative pattern of panels and windows corresponds to a building-code fire regulation, which states that windows should not be aligned vertically. As seen from the Sumaré Avenue viaduct, the new office building – highlighted by its shape, size and colour – stands out as a striking addition to the neighbourhood and a stark contrast to the poorly designed contemporary architecture surrounding it. The restrictions on this building propelled its design. 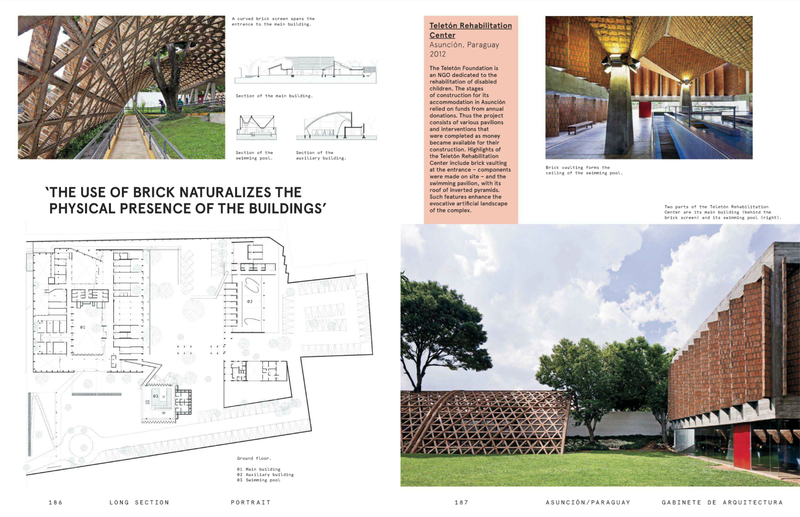 This entry was posted in english, mark magazine, the netherlands and tagged architecture, arquitectura, magazine, mark, Nitsche Arquitetos, revista on August 1, 2013 by Gustavo Hiriart. Home to the most sophisticated high-end shops in São Paulo, Rua Oscar Freire runs through the Jardins neighbourhood. The area’s increasing land prices make this tree-lined avenue the scene of never-ending construction work. 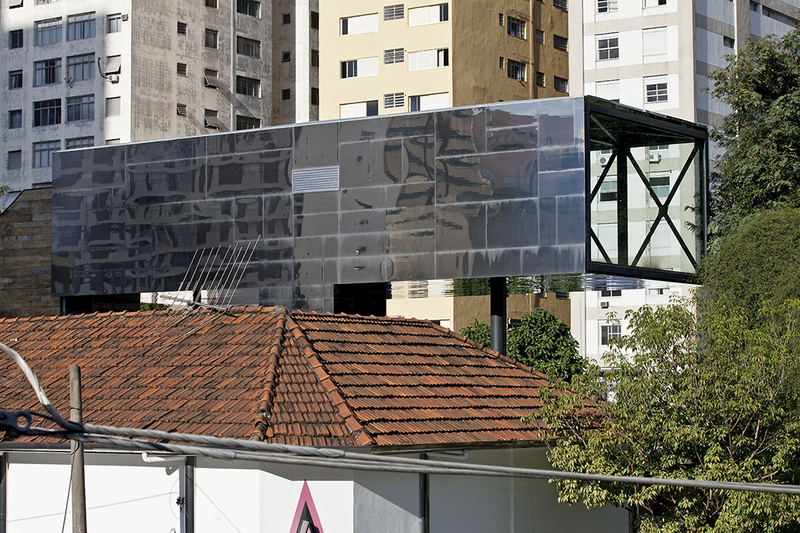 French-Brazilian studio Triptyque calls its most recent addition to the street ‘the observatory’. Because of its height, the building takes full advantage of the site, ‘multiplying’ the amount of rentable space it offers tenants who can’t wait to move into the most desirable, most expensive spot in town. And so it was that, when the real-estate developer had committed to the Rua Oscar Freire project, he put his chips on innovative design and accepted Triptyque’s proposal. 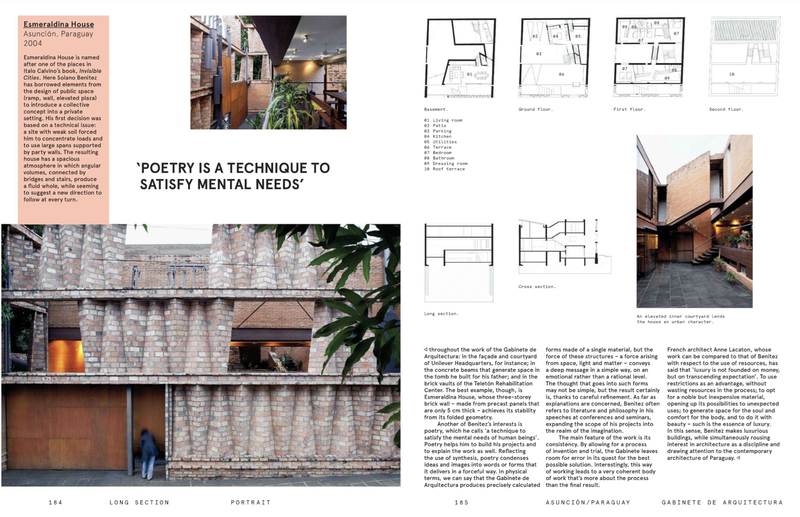 The brief asked for a small commercial complex comprising three shops with direct access to the street and, on the upper levels, a restaurant, and an art gallery. The first-floor restaurant looks out over a back garden. One level higher, a roof terrace forms a public outdoor space. At that point the building starts anew, so to speak, with a suspended volume at the highest level, designed to house an art gallery. Basing their concept on the structure of Yona Friedman’s utopian Spatial City, Triptyque’s architects erected ‘a building over a building’, as they call it, or ‘a city over a city’. Their response to the more conventional buildings on Rua Oscar Freire is a truly three-dimensional spatial structure. Clad in stainless steel – a material that will show the effects of São Paulo’s tropical climate as time goes by – the building’s reflective surface displays partial and blurry images of the surroundings. The roof terrace, which overlooks the trees, is panelled in wood, providing an interesting contrast to the cool metallic skin. The building looks a bit unsteady, an impression that is reinforced by a seemingly random alignment of the columns, which in turn magnifies the cantilever effect of the suspended volume. 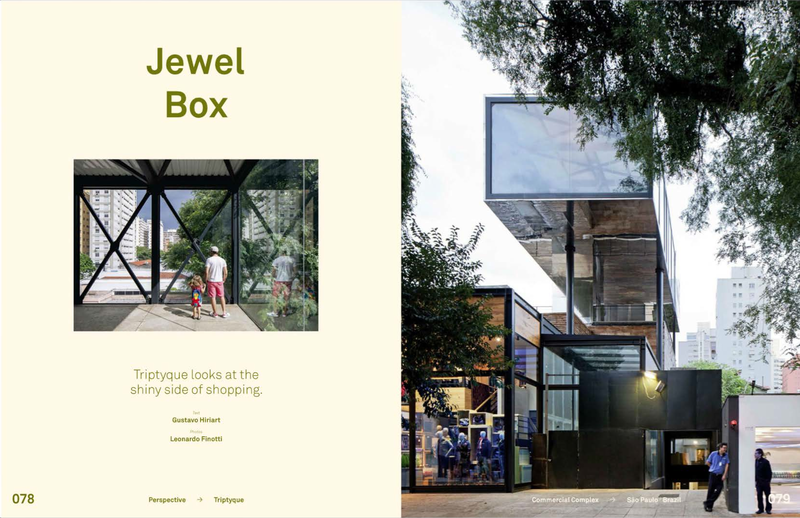 Taken together, these aspects of the project suggest both movement and growth and make the small building a micro utopia that goes beyond programme and physical limitations. 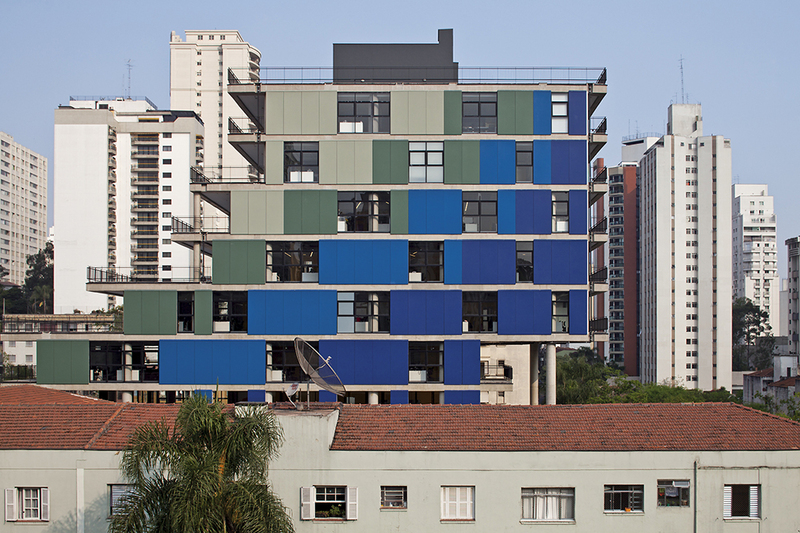 It’s a project that supports Triptyque’s ideas on contemporary architecture in São Paulo. 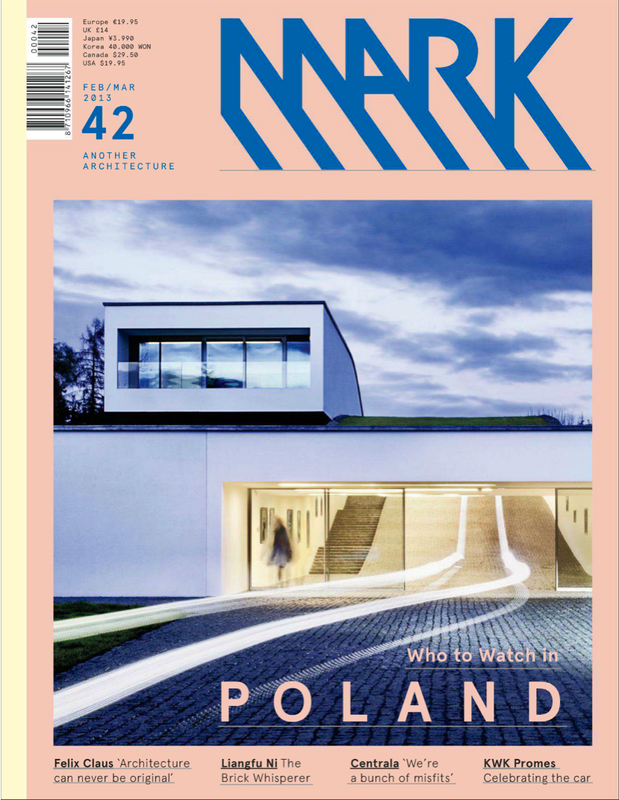 This entry was posted in english, mark magazine, the netherlands and tagged architecture, arquitectura, magazine, mark, revista, triptyque on August 1, 2013 by Gustavo Hiriart. At the helm of the Gabinete de Arquitectura in Asunción, Paraguay, is architect Solano Benitez. The geography of this relatively small country at the heart of South America explains some of the main features of the Gabinete’s work. Paraguay can be seen as an iconic image of the continent. It is a nation with a weak economy (a ‘developing country’, euphemistically speaking) and a hybrid culture marked by Spanish and indigenous Guaraní influences. Paraguay has a hot, wet climate, vast forests and mighty rivers. Writing about its physical and political make-up, author Augusto Roa Bastos called his country ‘an island surrounded by land’. These characteristics, some of which pose constraints to design, have enhanced the work of the Gabinete de Arquitectura. Tight budgets and regional building practices have led Benitez to prioritize methods of construction over other factors. Taking brick as a starting point – a cheap material produced locally – he attempts to make imaginative use of an ordinary product while expanding its possibilities. Benitez says that Paraguay is going through a ‘crisis due to a failure of imagination’. Lacking an instant solution to the problem, he engages in an ongoing process of invention and trial. Because of the architect’s approach, the company he runs is a multifaceted operation. Both studio and workshop, the Gabinete is a hive of design, construction, education and research. The space that houses the studio – a building site in itself – is in constant flux. The development of construction methods is essential for a design process that moves from studio to building site and back again, combining the professional knowledge, craftsmanship and intuition of everyone involved. 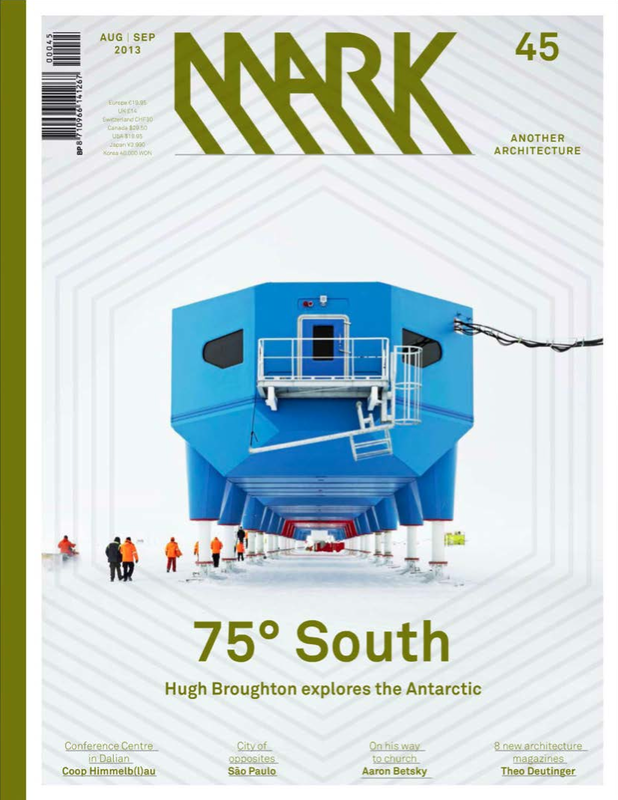 What’s more, Benitez surrounds himself with young architects who contribute enthusiasm and inventiveness to the mix, while often claiming to have forgotten much of what they learned at school. Although building techniques form the core of his work, Benitez’s projects are not primarily technological. In an environment of extreme temperatures, he sees the construction process as a means of generating space surrounded by a shell. The use of brick naturalizes, so to speak, the physical presence of his buildings. By designing elements that fragment the exterior and fold into the interior, Benitez creates intermediate spaces that address problems relating to climate and programme. This and similar spatial solutions can be found throughout the work of the Gabinete de Arquitectura: in the façade and courtyard of Unilever Headquarters, for instance; in the concrete beams that generate space in the tomb he built for his father; and in the brick vaults of the Teletón Rehabilitation Center. The best example, though, is Esmeraldina House, whose three-storey brick wall – made from precast panels that are only 5 cm thick – achieves its stability from its folded geometry. Another of Benitez’s interests is poetry, which he calls ‘a technique to satisfy the mental needs of human beings’. Poetry helps him to build his projects and to explain the work as well. Reflecting the use of synthesis, poetry condenses ideas and images into words or forms that it delivers in a forceful way. In physical terms, we can say that the Gabinete de Arquitectura produces precisely calculated forms made of a single material, but the force of these structures – a force arising from space, light and matter – conveys a deep message in a simple way, on an emotional rather than a rational level. The thought that goes into such forms may not be simple, but the result certainly is, thanks to careful refinement. As far as explanations are concerned, Benitez often refers to literature and philosophy in his speeches at conferences and seminars, expanding the scope of his projects into the realm of the imagination. The main feature of the work is its consistency. By allowing for a process of invention and trial, the Gabinete leaves room for error in its quest for the best possible solution. Interestingly, this way of working leads to a very coherent body of work that’s more about the process than the final result. French architect Anne Lacaton, whose work can be compared to that of Benitez with respect to the use of resources, has said that ‘luxury is not founded on money, but on transcending expectation’. To use restrictions as an advantage, without wasting resources in the process; to opt for a noble but inexpensive material, opening up its possibilities to unexpected uses; to generate space for the soul and comfort for the body, and to do it with beauty – such is the essence of luxury. 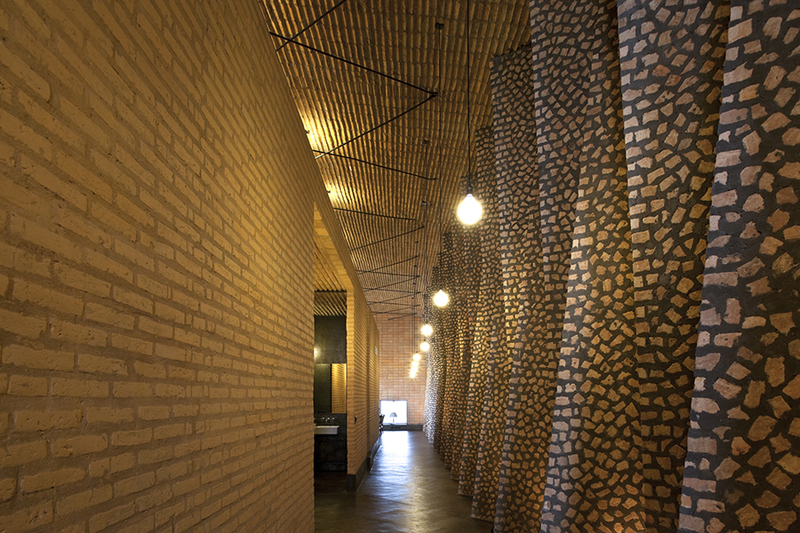 In this sense, Benitez makes luxurious buildings, while simultaneously rousing interest in architecture as a discipline and drawing attention to the contemporary architecture of Paraguay. 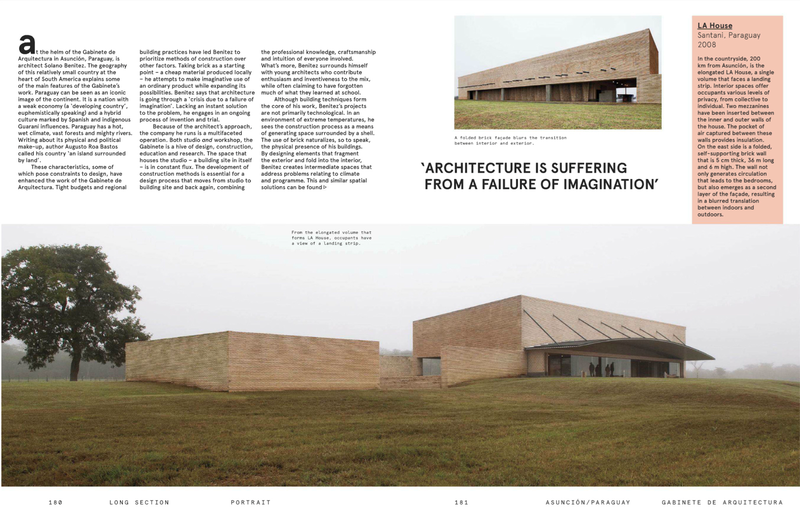 In the countryside, 200 km from Asunción, is the elongated Las Anitas House, a single volume that faces a landing strip. Interior spaces offer occupants various levels of privacy, from collective to individual. Two mezzanines have been inserted between the inner and outer walls of the house. The pocket of air captured between these walls provides insulation. On the east side is a folded, self-supporting brick wall that is 5 cm thick, 36 m long and 6 m high. The wall not only generates circulation that leads to the bedrooms, but also emerges as a second layer of the façade, resulting in a blurred translation between indoors and outdoors. Esmeraldina House is named after one of the places in Italo Calvino’s book, Invisible Cities. Here Solano Benitez has borrowed elements from the design of public space (ramp, wall, elevated plaza) to introduce a collective concept into a private setting. His first decision was based on a technical issue: a site with weak soil forced him to concentrate loads and to use large spans supported by party walls. The resulting house has a spacious atmosphere in which angular volumes, connected by bridges and stairs, produce a fluid whole, while seeming to suggest a new direction to follow at every turn. The striking ‘façade wall’ shields the house, forms a boundary and, at the same time, invites first-time visitors to discover an inner world. The Teletón Foundation is an NGO dedicated to the rehabilitation of disabled children. The stages of construction for its accommodation in Asunción relied on funds from annual donations. Thus the project consists of various pavilions and interventions that were completed as money became available for their construction. Every material – new, used, recycled – that went into the project reflects the ethics and efforts of those who contribute to the foundation. Highlights of the Teletón Rehabilitation Center include brick vaulting at the entrance – components were made on site – and the swimming pavilion, with its roof of inverted pyramids. Such features enhance the evocative artificial landscape of the complex. 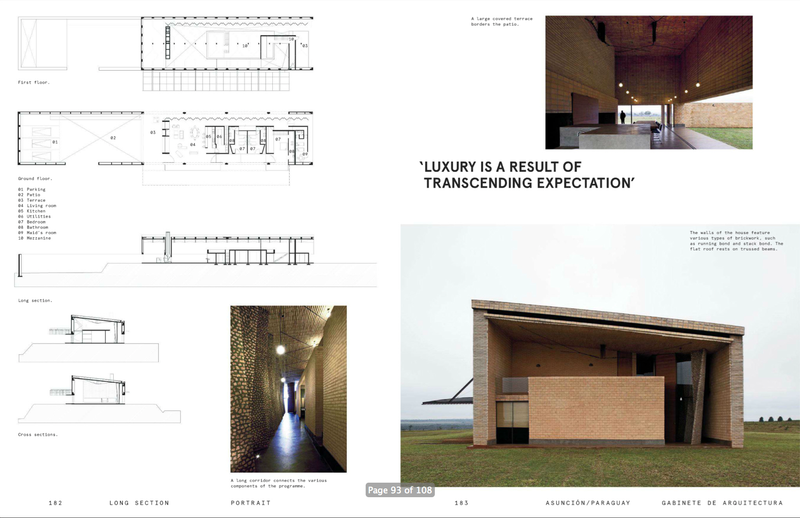 This entry was posted in destacado - highlight, english, mark magazine and tagged architecture, arquitectura, ensayo, essay, gabinete de arquitectura, magazine, mark, revista, solano benitez on March 1, 2013 by Gustavo Hiriart.